CNN hires hack Trump adviser to spout gibberish about economics. 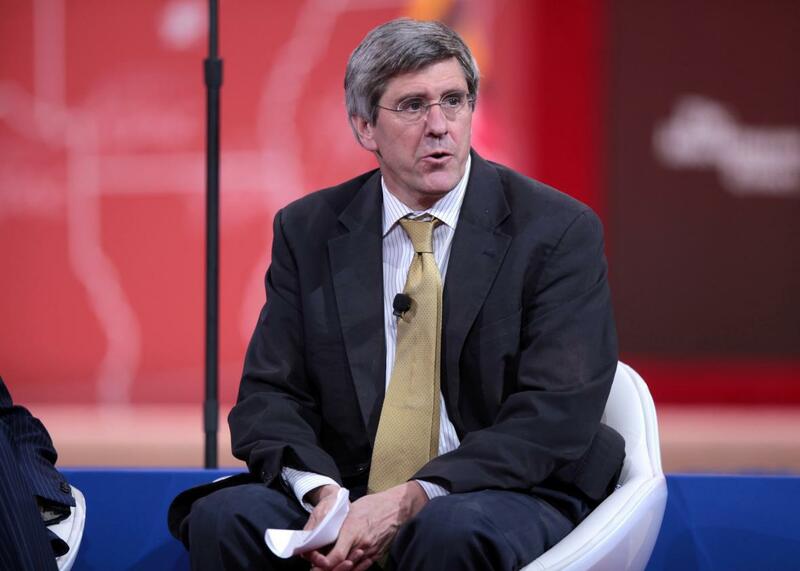 This is a fairly minor development amid all the turmoil that’s gripped the country over the past week, but I would like to pause for a brief moment to commemorate the act of journalistic malpractice CNN has just committed by hiring conservative scribbler and Trump adviser Stephen Moore as an economics analyst. It is a doozy. Moore’s lifelong work has mostly consisted of preaching the gospel of tax cuts, and occasionally fossil fuels. He founded the conservative Club for Growth in the late 1990s, joined the Wall Street Journal editorial board, and at one point became the Heritage Foundation’s chief economist, despite lacking an economics Ph.D. (he has a master’s). What the man lacks in actual academic training he makes up for in movement credentials. When politicians do make the error of listening to Moore, the results can be disastrous. For instance, he was one of the advisers behind Kansas Gov. Sam Brownback’s fiscally ruinous tax-cuts, a notorious debacle that even conservative wonks at the Tax Foundation thought was ill-advised. Before Trump was the Republican nominee, Moore and CNBC talking head Larry Kudlow wrote an op-ed excoriating Trump’s stance on trade protectionism and immigration. But later on, the pair got called in to doctor up Trump’s mess of a tax-cut plan, at which point Moore seems to have become a convert. In November, he told a room full of Hill Republicans that they were no longer in the party of Reagan, but in the party of Trump. CNN has a habit of veering wildly from serious journalism from its Washington bureau or its online KFile investigative team to vomit-worthy infotainment in which toadies like Jeffrey Lord or—previously—Corey Lewandowski defend whatever the heck Donald Trump has just said. * (The network has a lot of airtime to fill, and it fills it with mostly useless discussion panels.) You can guess which side the pendulum just swung to with Moore’s hire. *Correction, Jan. 31, 2017: This post originally misspelled Corey Lewandowski’s first name.